I won’t speak for everyone, but I feel like for every foodie bloggerister, mastering the art of pizza dough is pretty important. Aaron and I have fiddled with about 7,325 different pizza dough recipes. Some resulting in rounds of high-fives; others resulting in pouty face parties. It just happens. Well, I’m going to surrender to something. Right here. Right now. 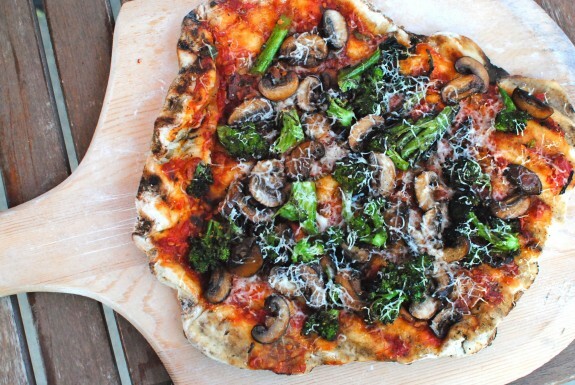 I’m okay with pre-made pizza dough. I am! It’s so easy to yank out of the fridge, roll out and still be able to follow along with the plot of COPS in the background. 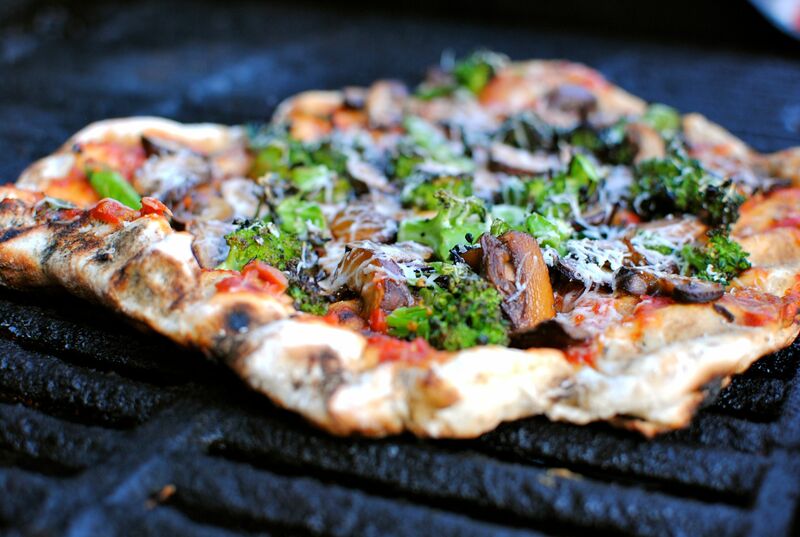 And like everything else in the summer, pizza tastes better grilled. 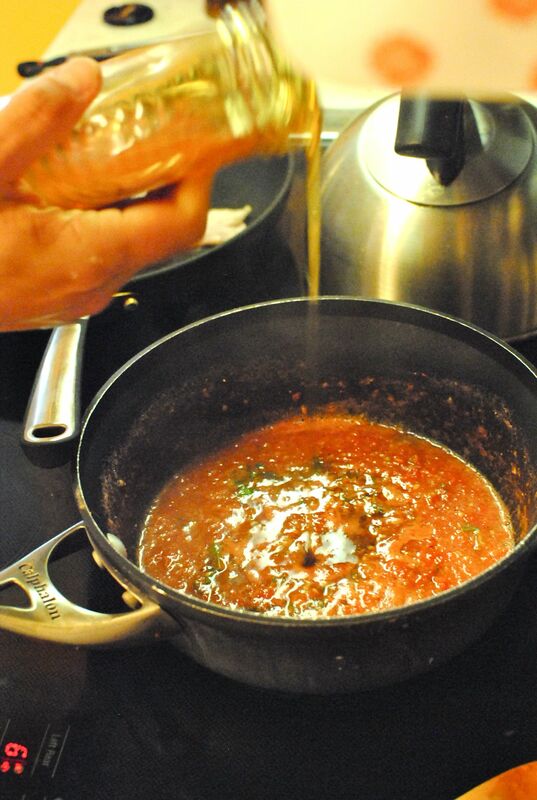 In a saucepan, lightly simmer the tomatoes with the crushed red pepper, tomato paste, herbs, salt and pepper for about 15 minutes. Add the honey and simmer 2 more minutes. 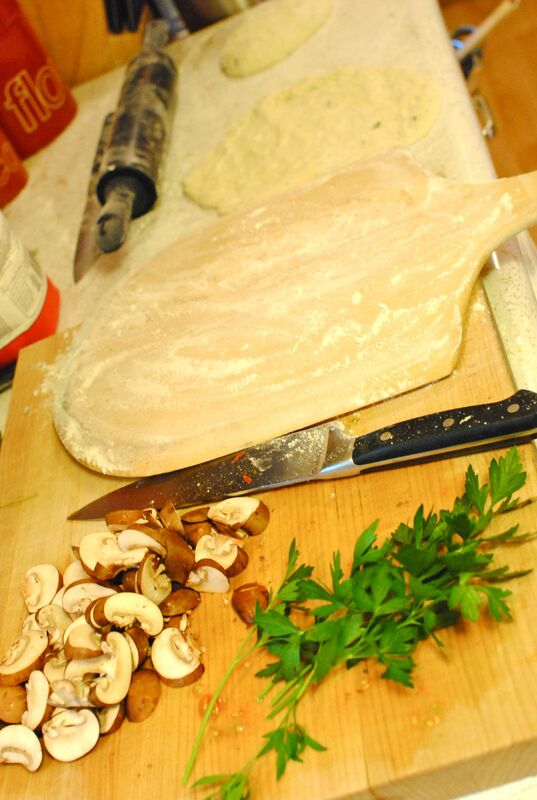 Add the parsley to the premade dough, divide into two balls, and roll it out to your desired thinness. Render out the bacon for a few minutes. 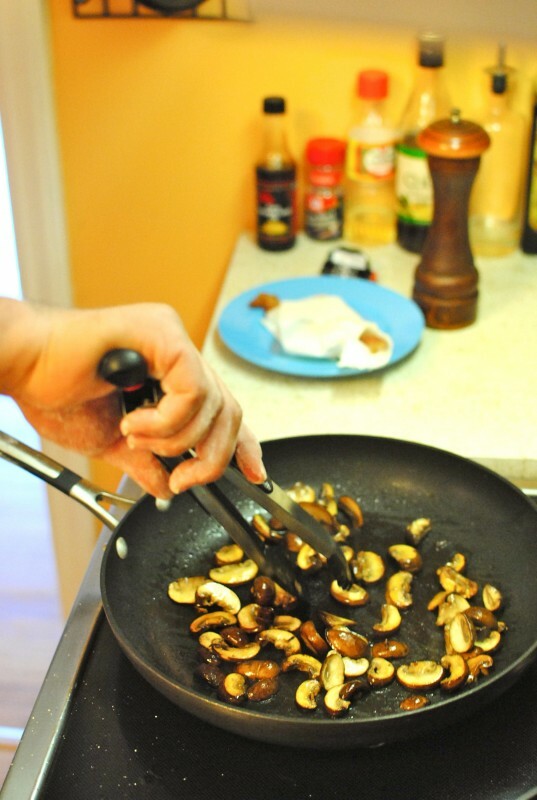 Set aside to drain and add the mushrooms to the pan. Let brown for 3 minutes. Season with a pinch of salt and pepper and finish browning. Crumble the bacon. Grill the broccoli over a medium heat for about 5 minutes, until they start to crisp and char lightly. Remove from grill and roughly chop. Place the dough on the grill for 2 minutes as to let it set and firm up for the toppings. Bring back inside and spoon half the tomato sauce over each crust. 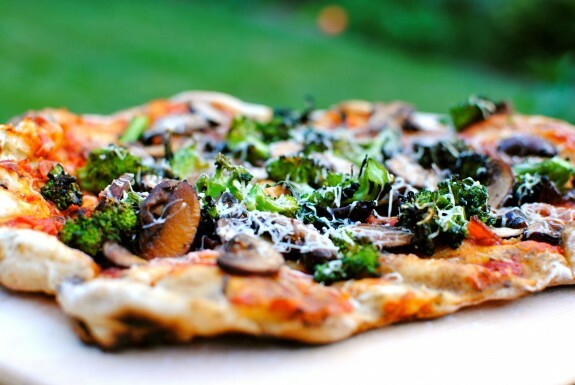 Add bacon crumbles, grilled broccoli and sauteed mushrooms. Top with cheese and throw it back on the grill until the cheese melts, 5 minutes. Maybe 6. Look at that beauty. Painful isn’t it? Yum!! Totally going to try this one. I'm always looking fir new grilling recipes! And you've GOT to tell me what kind of camera you have...it takes amazing food pics!!! Thank you Donna! I shoot with a Nikon d3000. It's like a third limb to me. I love it. Hope you're well! Thanks for dropping by! I could seriously survive the rest of my days on this. Pizza sweet pizza. Hello Angie! Thanks so much! So nice to meet you! I do believe we've met before....January 27th....1996....ring a bell?? Loved the recipe, love the pictures!